Dell launched a new tablet computer, Dell Latitude ST which runs on Windows 7 operating system. Dell Latitude ST is designed specifically for the mobile professionals with IT in mind. The ST tablet was powered by Intel Atom processor and 2GB RAM. 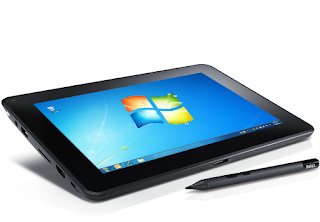 The tablet pack full with Windows 7 productivity in an ultra portable tablet. Build-in ports and optical docking station, enable you to import data from external devices and easily connect to projectors, printers or other devices. 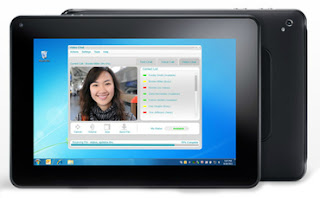 The Dell latitude ST tablet have front and rear webcam and multi-touch enabled display that supports the use of stylus. You can work confidently on the Dell Latitide ST, thanks to flexibale data encryption. Which ensures security when dealing with important and sensitive data. Flexible. Productive. Secure. Easy to mange. The ideal solution for Mobile professionals. Dell Latitude ST Tablet Ad, Video. 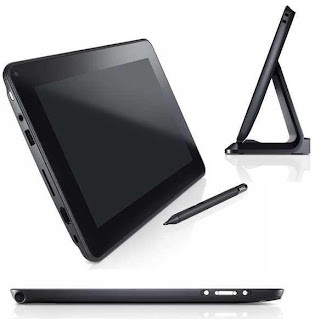 Price of Dell Latitude ST tablet in India : Rs 36,000. Tags: Dell Latitude ST tablet, Dell windows 7 tablet, Dell Latitude ST full specifications reviews, Dell tablet pc, Dell Latitude ST tablet price in India, launch in India, Dell Latitude ST tablet images videos, download, Dell India website, technical specifications of Dell tablet, Official release date of Dell Latitude tablet, Latest gadgets, latitude tablet battery life, what is dell tablet, Windows 8 tablets, Stuffadda gadgets, how to buy Dell tablet, Technology updates.